The Okuma Helios Machined Aluminum Large Arbor Fly Reel is a fantastic fly fishing reel for experienced anglers. Constructed a 6061 bar stock aluminum, the Okuma Helios is considered a flagship of the Okuma flywheels lineup. The Helios is perfect for fly fishing enthusiasts who like fishing in both freshwater bodies as well as inshore saltwater. The Okuma Helios is equipped with a multi-disk waterproof drag system in addition to various other specialties that makes one of the best fly reels in the market. One of the major characteristics of the Helios lies in its precision and design. The Helios has a precise stainless steel spool shaft for improved durability and alignment. The Okuma Helios is entirely made of solid, machined aluminum. You won’t see any cheap or inferior plastic or metal parts in the Helios. 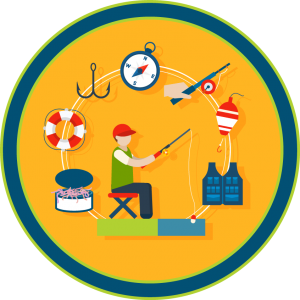 This is worth mentioning because many companies put cheap plastic components in the inner works of the fishing reels. Despite being composed of solid aluminum, the Okuma Helios does not feel heavy at all. The Helios is incredibly light at 7.2 ounces and most anglers will hardly notice the weight on their fly rods. The drag system of this fly reel provides 100% watertight cork for better smoothness when dragging big fishes. The drag system is also user-friendly and is equipped with an easy adjustable external control system. The drag system is a multi-disc system in the Okuma Helios which makes it easy for the fisherman to access the drag wheel by only twisting the drag knob located in the back side of the fly reel. Additionally, the drag system is also maintenance free and waterproof. Anglers don’t have to be worried about the drag system of being rusted and falling apart. This is imperative due to the fact that the fly reel will be exposed to water throughout its useful life, so it necessary that all the parts in the drag system remain rust-free. This fly reel is composed of machined aluminum. The Okuma Helios has a single-way clutch bearing. The fly reel includes a sealed and waterproof multi-disc drag system. The reel’s multi-disc drag system has a convenient adjustment mechanism with a large doorknob at the opposite part of the reel. Has a high-build quality and durability. Offers great value for its price. The Okuma Helios sells between US$85 – $195 depending on the spool size. Okuma offers a 5-year warranty on the Helios fly reel. The maintenance-free waterproof drag system. 2BB+1RB stainless steel spool shafts. The drag system is easily adjustable. Feels very powerful and durable and can easily drag large fishes. The comfortable handling of the drag wheel. The all-aluminum surface is highly susceptible to scratching. Comes with a short warranty period when compared to competing brands. Question: It says 5/6 spool. Is it a spare spool or the reel? Question: Does the Okuma Helios click both ways and only on drag? Answer: The reel clicks both ways. Question: What is the model number of this reel? Answer: The Okuma Helios comes in two variants, the H 34, and the H 78a. Question: How much does the Okuma Helios weigh? Answer: The Okuma Helios H 34 fully loaded weighs 7.2 oz. while the H 78a weighs 11.2 oz. The Okuma Helios deliver excellent build-quality and value for its price. 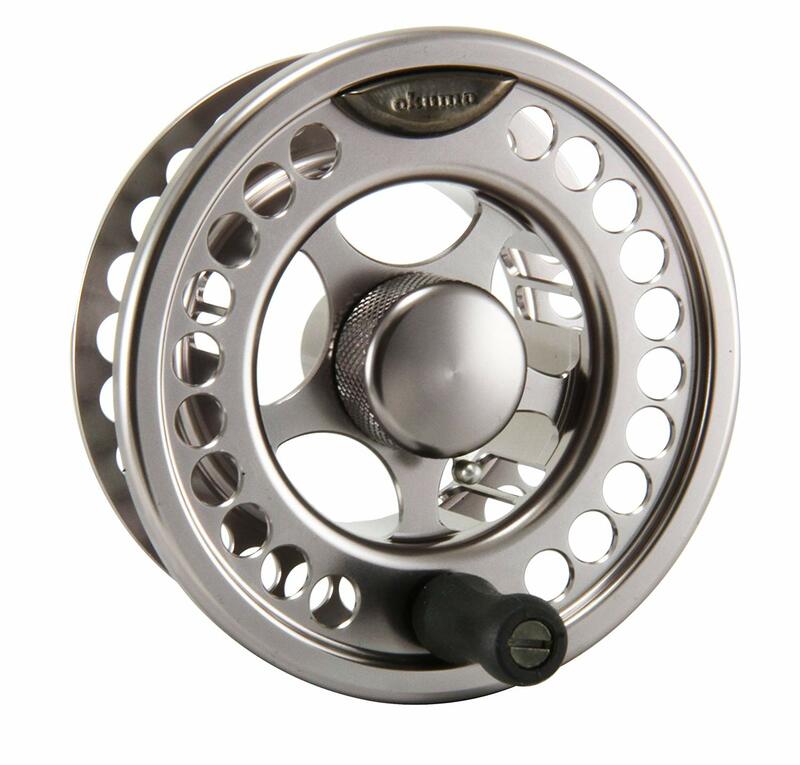 For experienced fly fishermen, the Okuma Helios Machined Aluminum Large Arbor Fly Reel is the ideal fly fishing reel. For the rest, the Okuma Helios has a nice brushed aluminum finish, multi-disc drag system for fast adjustments, and durability. At last but not least, this fly reel is the perfect and robust fly fishing reel option for anybody searching for an affordable, yet high-performance fly reel. We highly recommend it!